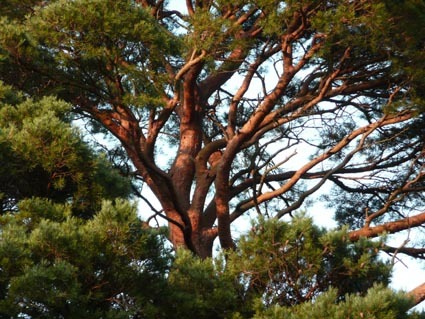 The Scots pine is one of the three native conifers in Ireland (the others are yew and juniper). Although native, none of the Scots pines growing in Ireland now are native stock. This is because the Scots pine arrived in Ireland not long after the end of the last ice age, but died out some 4000 years ago. It has been re-planted in Ireland (presumably mostly from Scottish stock) from the 17th century onwards. 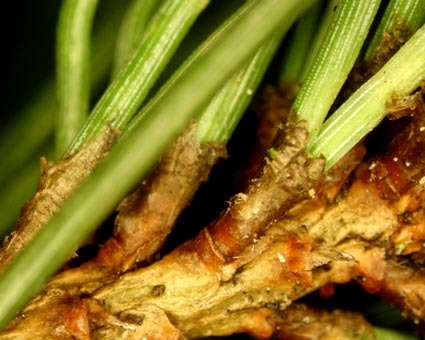 Some idea of its former importance in the native flora may be gained from the large areas of pine stumps buried in bogs and under blanket peat, particularly in the Antrim uplands and Donegal. 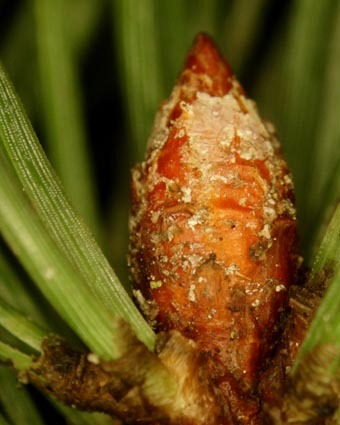 The Scots pine is a 2-needled pine like the Austrian pine, but may be distinguished from the latter by the much shorter needles, typically 1-4 inches long (2.5-10cm) and the characteristic reddish colour of the upper branches and trunk which distinguishes it from all other 2-needle pines when mature. 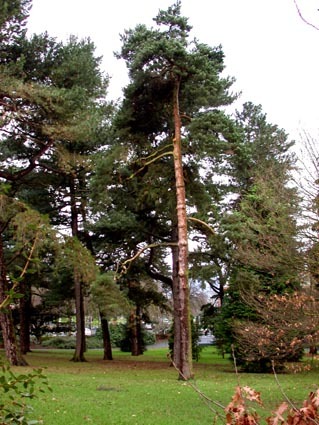 There are several specimens of Scots pine in Belfast Botanic Gardens. The example in the photograph (and whose location is given in the box above) is close to the Kelvin statue at the Stranmillis road end of the gardens.